OPPOs Realme first 2019 device – te Realme 3 is one impressive device that brings some advanced features down to a super attractive price range. The device was launched earlier this month as the brands take on the Redmi Note from Xiaomi and the range of M series from Samsung, and is now available for sale in India. The pocket-friendly Realme 3 will go on sale later today at 12 pm local time via Flipkart India and Realme India’s website. The Realme 3 came in two variants the Helio P70 and p60 variants, though only the P70 variant in 3 GB RAM + 32 GB storage and 4 GB RAM + 64 GB storage is available in India, while the P60 is meant for markets outside of India. You will have to shell out INR 8,999 ($129) for the 32GB variant, while the 64GB option goes for INR 10,999 ($158). 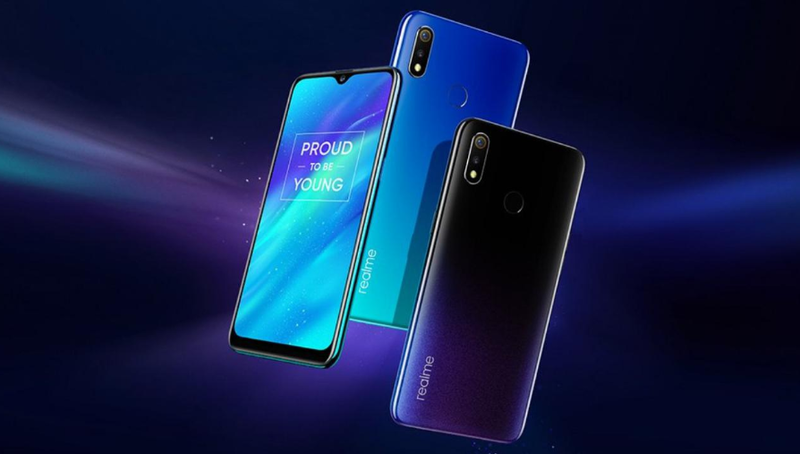 The device packs a 6.22-inch LCD display with a water-drop notch unlike the Realme 2 with the conventional wide notch. The water-drop notch is the in thing now, despite having some devices with a hole-punch display and sliding cameras. On the flip side, there is a smooth curved frame with a flashy gradient adorned with a dual 13 megapixels+ 2 megapixels camera sensor with AI-powered ‘Nightscape’ mode and a fingerprint sensor. It boots Oppo’s ColorOS 6.0 based on Android 9 Pie out of the box, while it is powered by a large 4,230mAh battery.